Her Majesty Queen Elizabeth II and Prince Philip The Duke of Edinburgh at The Royal Windsor Horse Show on May 5, 2018. Last Thursday, when 97-year-old Prince Philip pulled out of Sandringham Estate in his Land Rover into the path of an oncoming vehicle many wondered: Is he fit to drive? That’s an emotionally fraught question that many family members have to grapple with at some point. Driving is a complex task. As we age, our cognitive abilities diminish. Our reflexes slow, our eyesight fades and so does our hearing, and our consumption of mind-altering medications grows. Then again, as we age, we are less likely to speed, to be in a rush to get to work, to crank the music, to smoke a spliff, or text behind the wheel. Is being old worse than being distracted? Yet, we impose stricter licensing rules on people of a certain age. 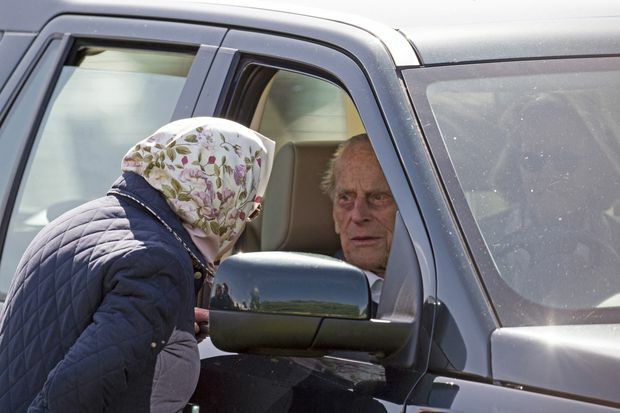 In Prince Philip’s Britain, drivers have to reapply for a licence at the age of 70, and then every three years after. 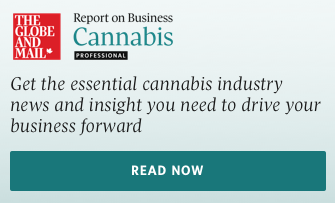 In Canada, the crackdown comes a little later, with rules varying by province. In Ontario, for example, drivers must renew their licence at 80 and every two years after. They must complete a vision test, a written test and sit in on a group education session, and may be required to take a road test. Physicians and optometrists are required by law to report a driver they deem unfit to drive. In Alberta, by contrast, a driver needs to take a medical exam at 75, and again at 80 and every two years after. Doctors don’t have mandatory reporting requirements, but any citizen can request that someone’s driving privileges be reviewed. About three-quarters of people over 65 have a driver’s licence, and that falls to about half come the age of 80. Many believe concerns about safety justify age discrimination, but the statistics tell a complex story. Motor-vehicle crashes are the single biggest cause of non-intentional death for all ages, and the leading cause of death under 25. The data tell us that the most dangerous drivers on the road are young men under the age of 25, not seniors. It is true that drivers over 65 have the highest rate of traffic fatalities but, proportionally, far more younger people are injured in crashes. This doesn’t tell us that older people are bad drivers, so much as it reveals that they are more likely to die of their injuries, likely because they are frail. Of course, we shouldn’t be waiting for our loved ones to die to be concerned. A growing collection of scratches and dents on the car can be reason to worry. So, too, can being in the car with someone who gets lost easily, or can’t tell the colour of the traffic light, or receives a dementia diagnosis. So what do you do when you fear your gramps or granny has become a menace on the road, a danger to themselves and others? Making the doc the villain undermines the trust that is essential to a good physician-patient relationship. Similarly, insisting a parent or grandparent give up their keys can also drive a wedge in family relationships. Losing a driver’s licence can be traumatic. The loss of a vehicle too often translates into isolation and loneliness. It is also a severe psychological blow, perceived as the beginning of the end. That’s why it’s essential for family members to have “the talk” with seniors who should give up their licence, and to focus on transport alternatives. Confiscating causes conflict. As society ages, and seniors stay healthier longer, we should also be looking at less discriminatory and arbitrary licensing practices. Just as we have gradual licensing for teens, we should have gradual de-licensing for older drivers; for example, restrict driving to daylight hours, or on city streets, based on measurable factors, not arbitrary age cut-offs. Given the carnage on our roads, shouldn’t we be striving to ensure everyone is fit to drive? Does it make any sense that we issue a driver’s licence at age 16 and then give drivers free rein for the next six decades? Shouldn’t we have periodic testing and remedial driving lessons regardless of age? There are royally bad drivers of all ages. Let’s stop picking on the elderly.